Dental Tartar Scraper and Remover Set, SS. 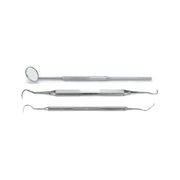 This set includes a Dental Scaler, explorer and mouth mirror. 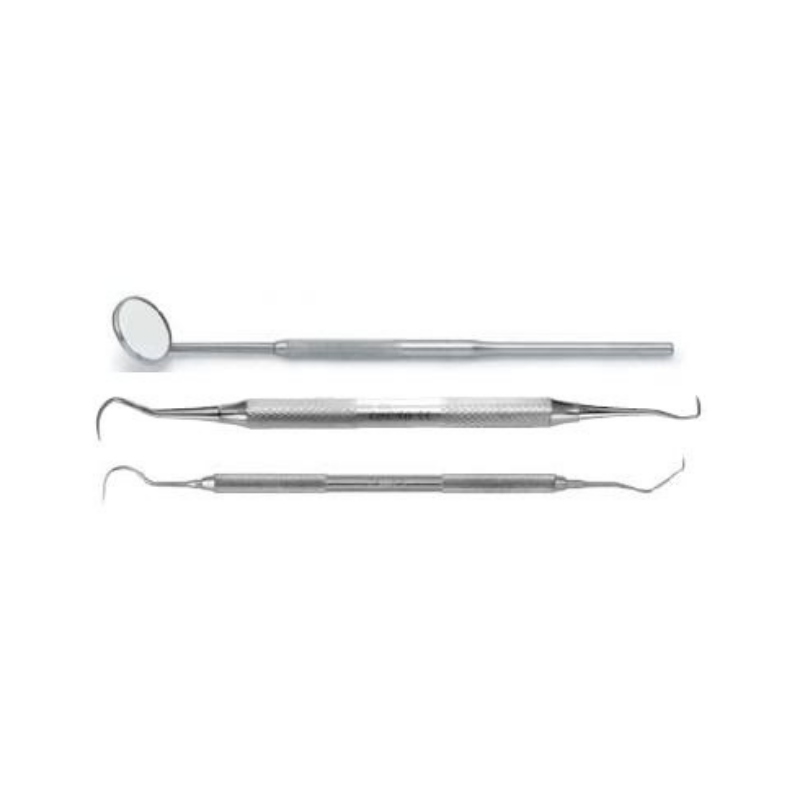 These premium quality dental tools help remove Tartar and plaque from teeth. Knurled handles provides excellent hand control. These are professional quality dental instruments and highly recommended for any dental hygiene kit.